Kia Ora and welcome to Cork! We are here to bring you the best of the best. We pride ourselves in our rounded collection of regional and international, premium yet approachable, beer, wines, spirits, and cocktails. 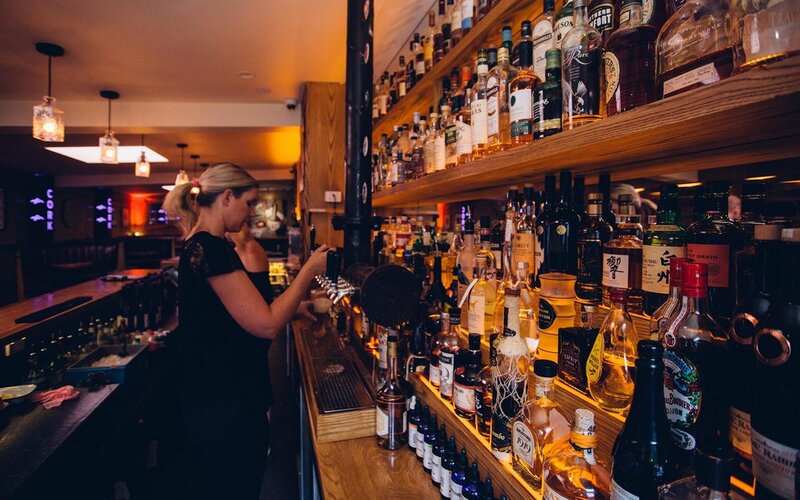 Our beautiful bar features over 100 different types of wine, 60+ whiskeys, 50+ gins, and much more. Our staff are creative and professional and will always take the time to pair you with the perfect beverage. Located in the heart of Wanaka our cosy bar is the perfect spot to meet up with friends, enjoy a drink, and relax. Come down and check it out for yourself. We know you won’t be disappointed. Relax into it and get excited as you choose, as you feel, and as you taste... Enjoy yourself! We’re here for you as you are here for us. Welcome to Cork. Sundays always come around too quickly don’t they? You’ve just about started to wind down and feel good and suddenly there’s Monday looming down at you and killing your buzz. Our Sunday sessions are designed to ease out this process. Wanaka seems to draw and inspire incredible music from all over the world and the genre spectrum. We do our best to source the perfect soundtracks to enjoy a carefully concocted beverage to. We have happy hour wine specials while gigs are on and an atmosphere that helps make like Monday won’t happen, get yourself down from 5-8pm to soak it all in. 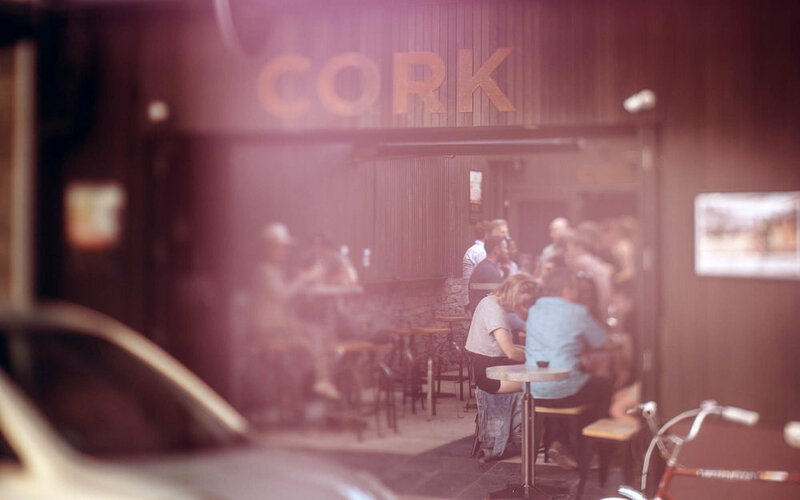 Here at Cork we like to take time to honour the traditional way of doing things; we make classic cocktails the way they were meant to be made, we have an extensive list of wines from the ‘old world’ and it is within this vein that we choose to play host to weekly vinyl nights. Wanaka’s music scene really punches above its weight and there is a cornucopia of super talented DJ’s. We like to gather the ‘crème de la crème’ and invite them to bring in their own vinyl collections obtained through decades of passion and hunting to throw down. This collection of de-sleeving dynamos join us every Saturday from 9pm until late to pump out a blend of great music with no gimmicks. The way it was meant to be done. A classic Burgundy Pinot Noir - displaying red cherries, soft spice, mixed herbs and gentle tannins. Aromas of red cherry, dried herbs, scented oak and vibrant spice. Smooth on the palate withdark cherry and bramble flavours delivering a long finish with fine tannins and balanced acidity. Excellent depth, showing cherry, spice and oak with a touch of earthiness and a fine tannin structure. Violets, blackberries and cherries with a scent of new leather. Ripe acidity and smooth tannins. Pale ruby, warm winter fruit, quite agricultural about the nose. Clean, delicate and distinctive. Aromas of black doris plum, leather and boysenberry, rich with dark cherry and a hint of liquorice. An earthen nose with slightly sweet and ripe fruit up front - good structure and a fresh mineral finish. Plum and berry flavours carry nuances of vanilla, coffee, chocolate and cinnamon, a long dry finish. Dense and powerful, lifted by bright dark fruit and violet florals with spicy nuances and a full body. Dark, spicy, and heartwarming Barossa Shiraz - like a box of dark chocolate in liquid form. Aromas of freshly turned earth with subtle savoury influences and a lovely fruit expression. Bright fruit and light oak on palate and nose. A deep cherry red with notes of strawberry and raspberry. Aromas of grapefruit oil, hazelnuts, apricot, cashew and flint strike on a creamy lees. Aromatics of pear, white peach, citrus, quince and spice notes with a subtle, underlying minerality. Lime fruit and white florals with a subtle layer of toasty notes and a little honeysuckle element. Luscious and medium sweet spatlese style. Lifted bouquet of mandarin, orange peel, and florals held together with a flinty complexity and linear focus. Generous, bright aromas of floral citrus, passionfruit, melon, spice and a crushed herb fragrance. Fresh crisp herbs mix with citrus and white peach. Nicely weighted and toasty with lees nuttiness. Full bodied and lush - Marshmallow and peach notes combine easily, then finish long and honeyed. Very fragrant and familiar with aromas of white fruits, some tropical layers and all important spice. Tropical and floral notes with stony minerals on the nose. Peach and lemon lead to a refreshing finish. Brilliantly blends summer aromatics of bright red fruits with spicy elements of clove and anise. Fresh pears with summery strawberry and raspberry aromas leaving mineral notes on nose and palate. Aromas of crab apple jam, melon, cashew and berry blossom with a great richness and substance. SEE CROW FLY - Locally roasted single origin coffee. Nitrogen infused, for a thick and creamy profile.